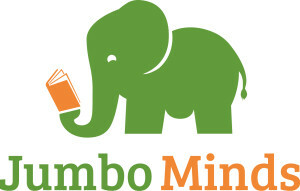 A visit to your school or library by a Jumbo Minds author makes for a unique and special experience. We are excited to share our passion for science with children! Our visits can include book reading, presentation, and science activities to engage and excite the mind. Meeting a science author can inspire not only readers, but future scientists and innovators, as well! To have an author reading, signing, or event, contact us at info@JumboMinds.com. Our fees may include travel costs. Please contact us at info@JumboMinds.com for more information about special options for schools.